From October 21, 2009 to January 10, 2010 the Philadelphia Museum of Art presented a major traveling retrospective celebrating the extraordinary life and work of Arshile Gorky (American, born Armenia, c.1902-1948), a seminal figure in the movement towards gestural abstraction that would transform American art in the years after World War II. The first comprehensive survey of the work of this artist in nearly three decades, Arshile Gorky: A Retrospective premiered at the Museum and presented 180 paintings, sculptures and works on paper reflecting the full scope of Gorky’s prolific career. Drawn from public and private collections throughout the United States and Europe, this retrospective evealed the evolution of Gorky’s unique visual vocabulary and mature style. It was organized by the Philadelphia Museum of Art. The exhibition traveled to Tate Modern, London (February 10 - May 3, 2010) and The Museum of Contemporary Art, Los Angeles (June 6 - September 20, 2010) following its debut in Philadelphia. Arshile Gorky: A Retrospective was the first major exhibition of its type since 1981 and the first to benefit from the publication of three biographies of the artist: Nouritza Matossian’s Black Angel: The Life of Arshile Gorky (1998), Matthew Spender’s From a High Place: A Life of Arshile Gorky (1999), and Hayden Herrera’s Arshile Gorky: His Life and Work (2003), all of which shed new light on the artist’s Armenian background and his central role in the American avant-garde. This was the first major museum exhibition to highlight the artist’s Armenian heritage and examine the impact of Gorky’s experience of the Armenian Genocide on his life and work. 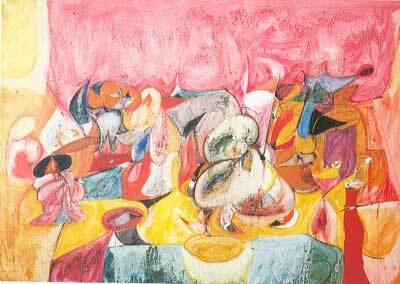 which was left unfinished on Gorky’s easel at the time of his death in 1948. 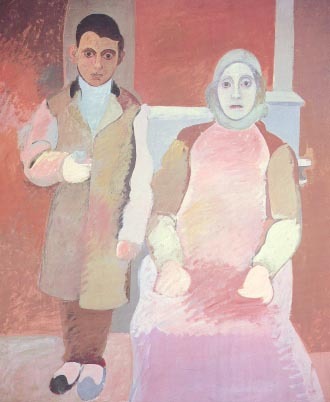 "Woman with a Palette" (1927). 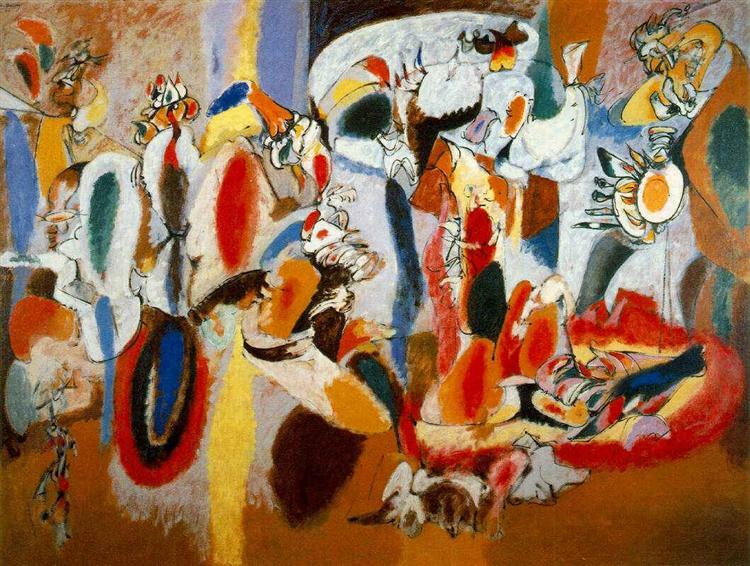 Arshile Gorky: A Retrospective was presented in a generally chronological sequence. 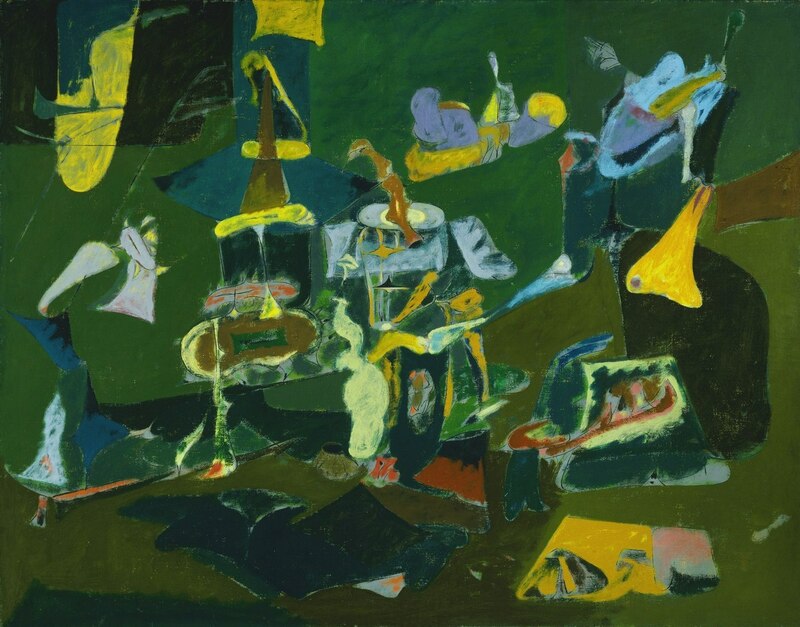 Thematic groupings will represent each phase of Gorky’s career, which underwent an astonishing metamorphosis as he assimilated the lessons of earlier masters and movements and utilized them in the service of his own artistic development. Beginning in the mid-1920s with Gorky’s earliest experiments with Impressionism and the structural rigor of the paintings of Paul Cézanne, and continuing through his prolonged engagement with Cubism in the 1930s, the exhibition ends with the Surrealist-inspired burst of creativity that dominated the final decade of Gorky’s life and left us with so many breathtakingly beautiful paintings and drawings. In the 1940s, Gorky’s contact with Surrealism informed his breakthrough landscapes in Virginia and the visionary works made in his spacious, light-filled studio on Union Square, which he called his “Creation Chamber.” Several galleries in the exhibition served as “creation chambers” in their own right, highlighting the artist’s working process by presenting Gorky’s most significant paintings alongside the numerous painstaking studies that informed their making. The exhibition was accompanied by a 400-page catalogue, Arshile Gorky: A Retrospective, published by the Philadelphia Museum of Art in association with Yale University Press. The catalogue includes essays by a group of noted art historians and curators: Harry Cooper, Jody Patterson, Robert Storr, Michael Taylor, and Kim Theriault, who present new theoretical approaches to the artist’s work. The essays build upon new biographical details about the artist’s Armenian background that have emerged in recent years, while also exploring Gorky’s creative thinking, his unique experimentation and extraordinary command of materials, and his imaginative exploration of various themes. The catalogue is fully illustrated in color and includes a section devoted to Gorky’s exhibition history, a bibliography, and a chronology of his life and work. Born Vosdanig Adoian around 1902 near Lake Van in an Armenian province of Ottoman Turkey, Gorky witnessed as a young boy the ethnic cleansing of his people, the minority Armenians. Turkish troops in 1915 drove Gorky’s family and thousands of others out of Van on a death march to the frontier of Caucasian Armenia. Suffering from starvation in 1919, during a time of severe deprivation for the Armenian refugees, Gorky’s mother died in his arms. 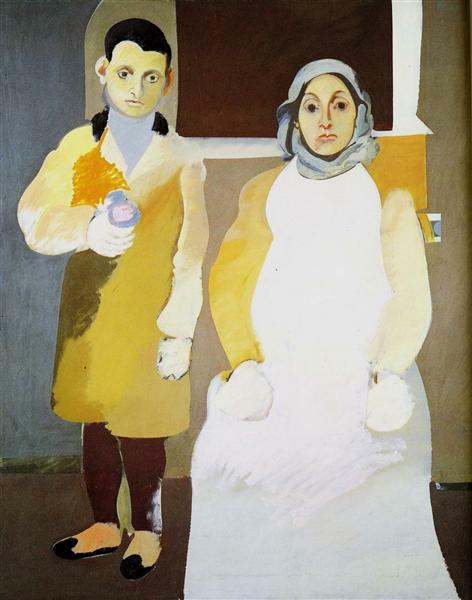 With his sister, Vartoosh, he eventually arrived in the United States where, claiming to be a cousin of the Russian writer Maxim Gorky, he changed his name to Arshile Gorky. Gorky stayed briefly with relatives in Watertown and Boston, Massachusetts, before settling permanently in New York in 1924, where he studied at the Grand Central School of Art, later becoming an art instructor there. Gorky met and became fast friends with many of the city’s emerging avant-garde artists, including Stuart Davis, Willem de Kooning, John Graham, Isamu Noguchi, and David Smith. Among his students was Mark Rothko. The noted art critic Harold Rosenberg observed that Gorky, “a lifelong student, was an intellectual to the roots, he lived in an aura of words and concepts, almost as much at home in the library as in the museum or gallery.” He was largely self-taught, visiting museums and galleries and reading voraciously. Gorky became familiar with modern European art and embarked on a systematic study of its masters and their methods, from Paul Cézanne and Henri Matisse, whose landscapes and still-lifes he emulated masterfully, to Pablo Picasso’s Cubist and neoclassical works, and the biomorphic abstractions of Joan Miró. 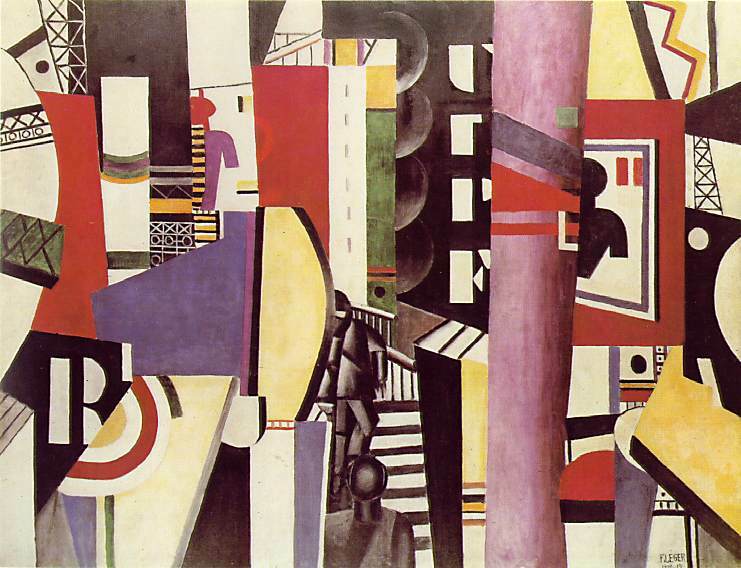 Works by Giorgio de Chirico and Fernand Léger informed, respectively, Gorky’s vast Nighttime, Enigma, and Nostalgia series of the early 1930s and the sequence of murals on the theme of aviation that Gorky created in 1936 for the Administration Building of Newark Airport, under the aegis of the Public Works of Art Project (later the Works Progress Administration), through which Gorky and many other American modernists found employment during the Great Depression. "Scent of Apricots on the Fields" (1944) and "The Plow and the Song" series (1944-1947)(above), are remarkable for their evocative strength, lyrical beauty, and fecundity of organic forms. Gorky’s last years were tragic. In January 1946, a fire in his Connecticut studio destroyed 27 recent paintings. Shortly thereafter, he underwent a painful operation for rectal cancer, and while recovering created some of the most powerful, though agonized, works of his final years, including the haunting "Charred Beloved" series (1946), which alludes to his lost paintings. In June 1948, Gorky was involved in a serious car accident that left him with a broken neck and temporarily paralyzed his painting arm. 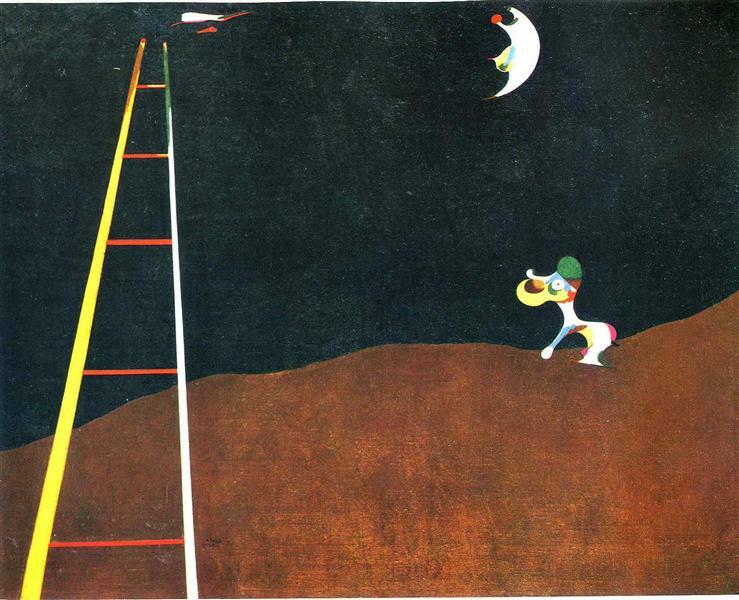 His young wife left him shortly afterward to pursue a brief affair with Matta, Gorky’s friend and mentor. Gorky took his own life on July 21, 1948, leaving behind an impressive body of work that secured his reputation as the last of the great Surrealist painters and an important precursor to Abstract Expressionism. all of which inspired the artist during his formative years. Gorky often visited the Gallery of Living Art at New York University where the Gallatin Collection was on view in the 1920s and 1930s, and he made several paintings that were directly inspired by works by modern artists that he encountered there. which consists of more than 80 drawings and paintings made between 1930 and 1934.
and the recently acquired "Woman with a Palette" (1927) (above). Arshile Gorky: A Retrospective was organized by the Philadelphia Museum of Art in association with Tate Modern, London, and The Museum of Contemporary Art, Los Angeles.